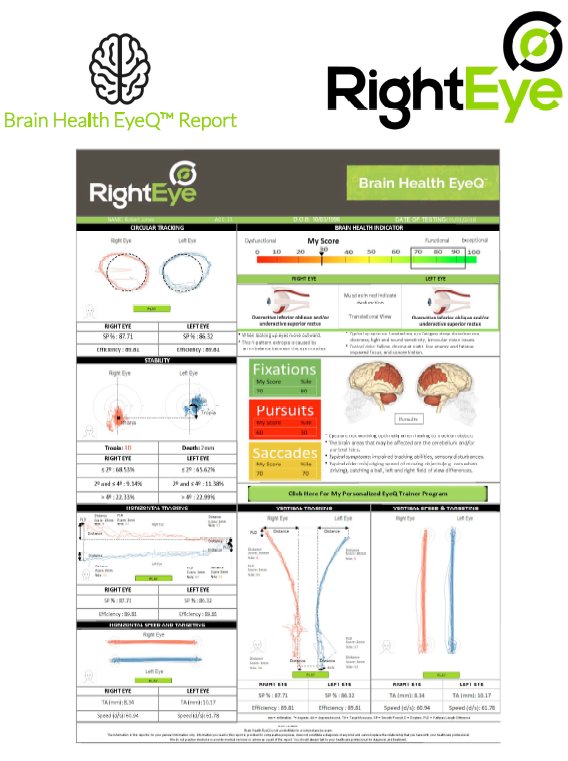 We are proud to offer RightEye eye-tracking tests and training. 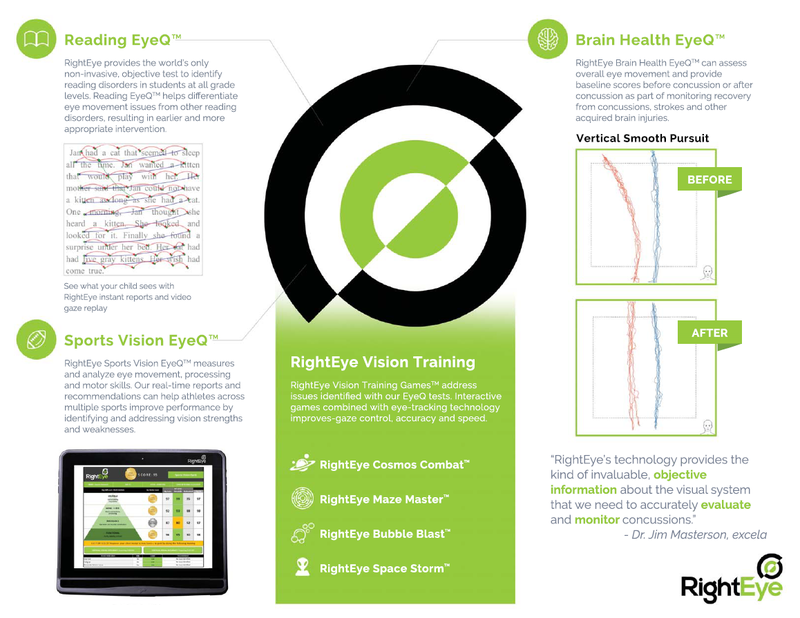 RightEye’s testing and therapy protocols are the only objective vision and health tests using eyetracking technology in the world. 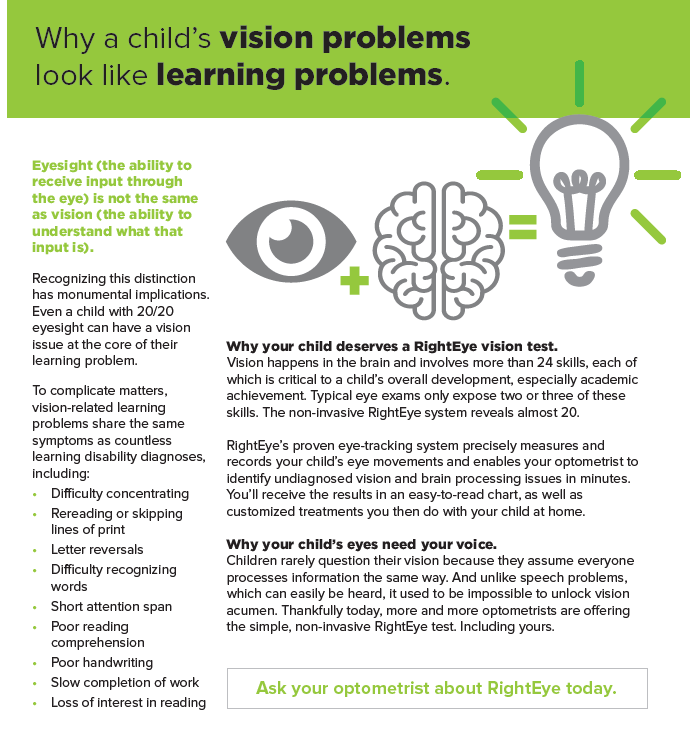 RightEye testing protocols assist us in providing the best possible vision care. 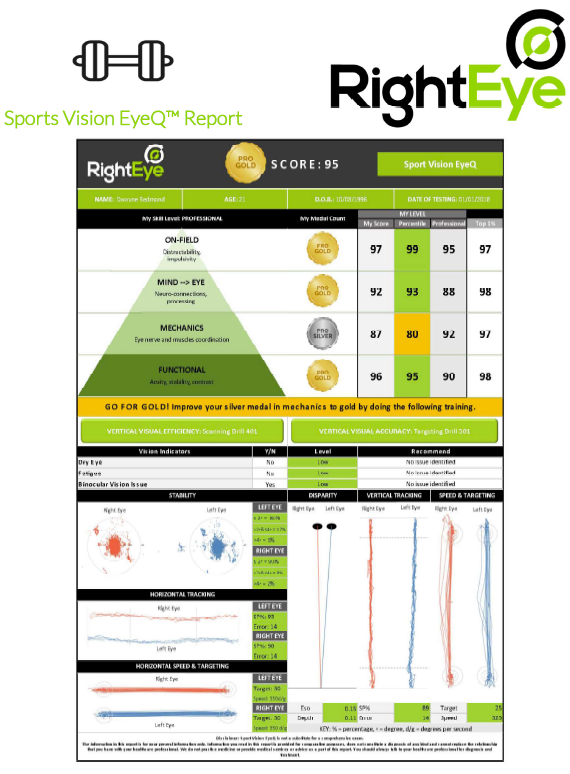 Using a scientific-based, metric-driven methodology, RightEye’s patented technology measures visual skills and provides earlier, faster, more accurate insights related to heath, vision and sports performance. 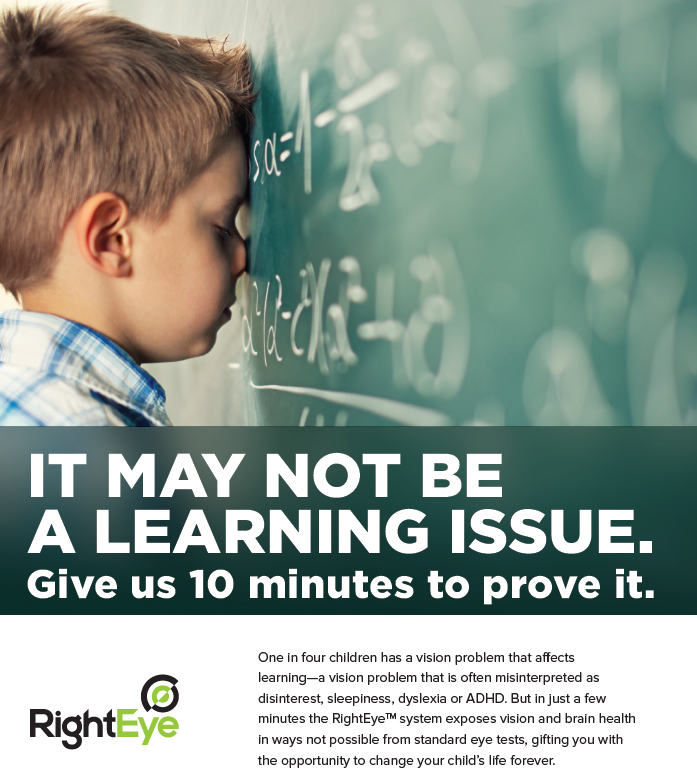 Is the RightEye system safe for my child to use? 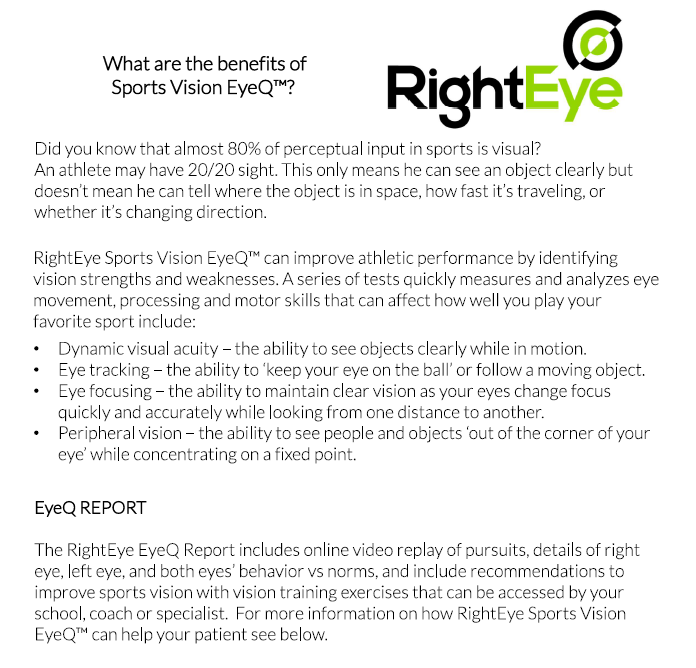 Our revolutionary system provides the first ever non-invasive eye tracking technology for use in our office. 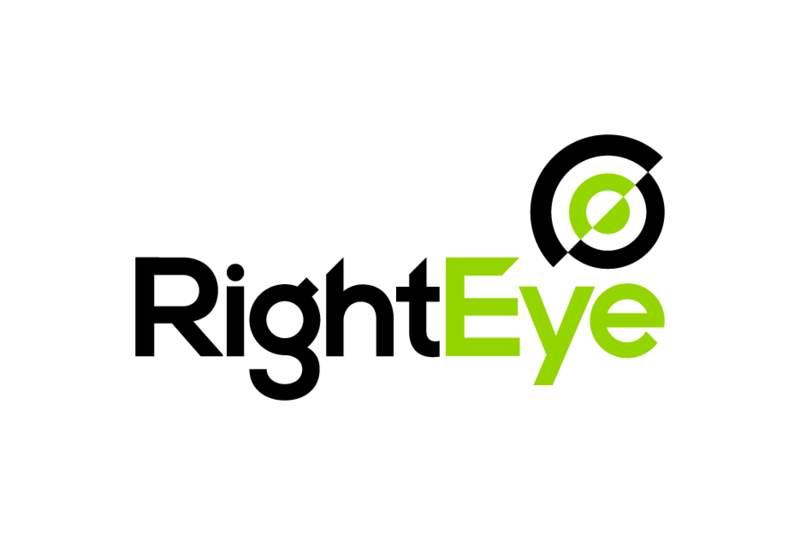 What types of therapies are offered outside of the office? 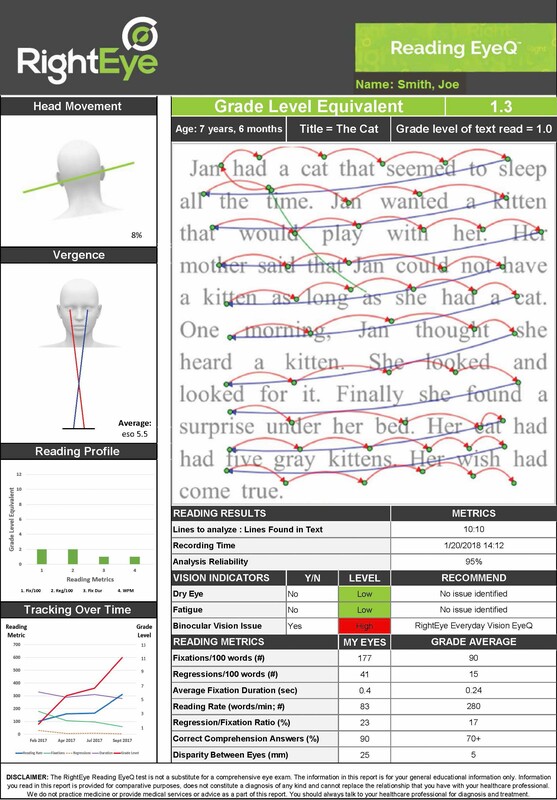 The RightEye system includes 4 eye-tracked therapy games. 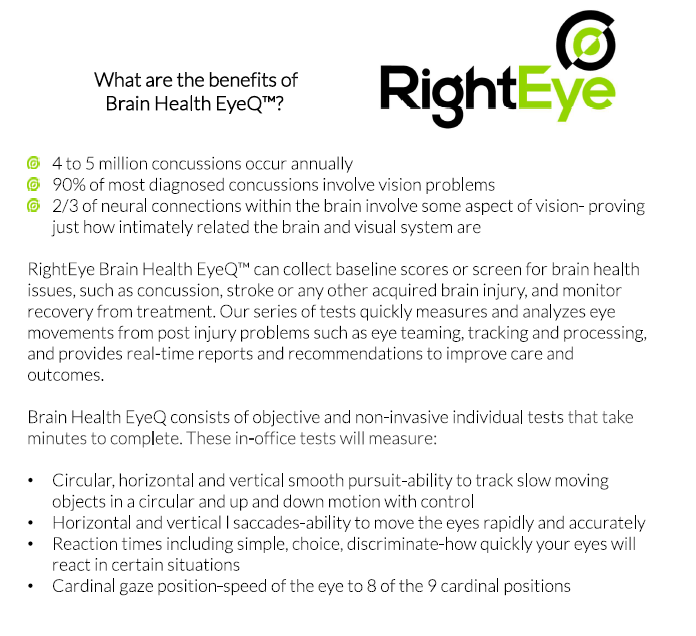 We also offer 140 offline training games- exercises such as beanbag tosses, baseball hitting, etc- that can be performed by patients outside of the office.